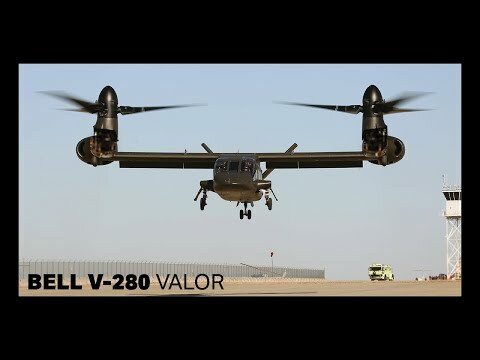 Amarillo, Texas (December 18, 2017) – Bell Helicopter, a Textron Inc. (NYSE: TXT) company, today announced that its V-280 Valor has achieved first flight. The V-280 Valor is a next-generation tiltrotor that is designed to provide unmatched agility, speed, range and payload capabilities at an affordable cost. 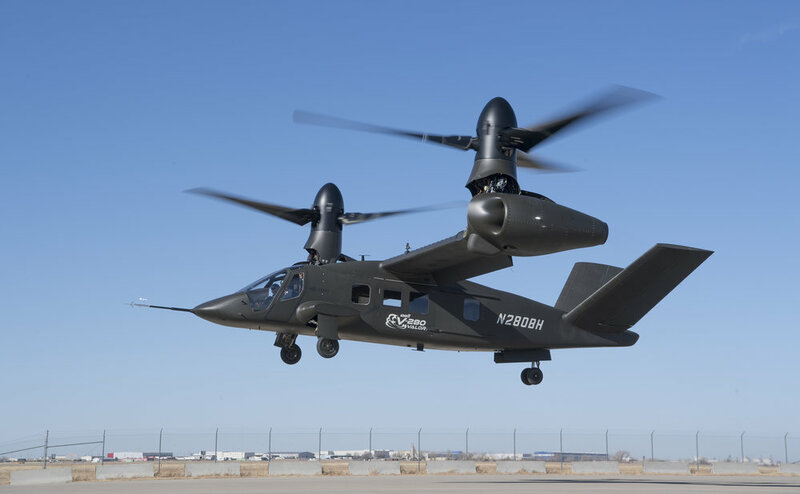 This milestone represents exceptional progress on the V-280 development program and brings Bell Helicopter one step closer to creating the next generation of vertical lift aircraft for the U.S. military. Textron Inc. is a multi-industry company that leverages its global network of aircraft, defense, industrial and finance businesses to provide customers with innovative solutions and services. Textron is known around the world for its powerful brands such as Bell Helicopter, Cessna, Beechcraft, Hawker, Jacobsen, Kautex, Lycoming, E-Z-GO, Greenlee, Textron Off Road, Artic Cat, Textron Systems, and TRU Simulation + Training. For more information, visit: www.textron.com. Certain statements in this press release are forward-looking statements which may project revenues or describe strategies, goals, outlook or other non-historical matters; these statements speak only as of the date on which they are made, and we undertake no obligation to update or revise any forward-looking statements. These statements are subject to known and unknown risks, uncertainties, and other factors that may cause our actual results to differ materially from those expressed or implied by such forward-looking statements, including, but not limited to, the risk that the U.S. Army will not choose the Bell V-280 for its Future Vertical Lift Program; the efficacy of research and development investments to develop new products or unanticipated expenses or delays in connection with the launching of significant new products or programs; changing priorities or reductions in the U.S. Government defense budget, including those related to military operations in foreign countries; changes in worldwide economic or political conditions that impact demand for our products, interest rates or foreign exchange rates; our ability to perform as anticipated and to control costs under contracts with the U.S. Government; the U.S. Government’s ability to unilaterally modify or terminate its contracts with us for the U.S. Government’s convenience or for our failure to perform, to change applicable procurement and accounting policies, or, under certain circumstances, to withhold payment or suspend or debar us as a contractor eligible to receive future contract awards; changes in foreign military funding priorities or budget constraints and determinations, or changes in government regulations or policies on the export and import of military and commercial products; and performance issues with key suppliers, subcontractors or business partners. This research was partially funded by the Government under Agreement No. W911W6-13-2-0001. The U.S. Government is authorized to reproduce and distribute reprints for Government purposes notwithstanding any copyright notation thereon. The views and conclusions contained in this document are those of the authors and should not be interpreted as representing the official policies, either expressed or implied, of the Aviation Development Directorate or the U.S. Government.